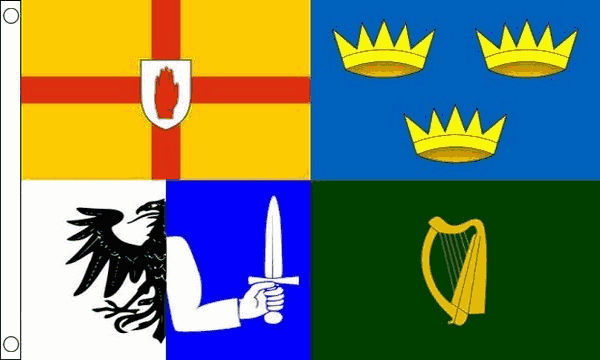 The Ireland Four Provinces flag incorporates the flags of the four Irish provinces of Ulster, Munster, Leinster and Connacht, and is sometimes used to represent the entire island of Ireland. 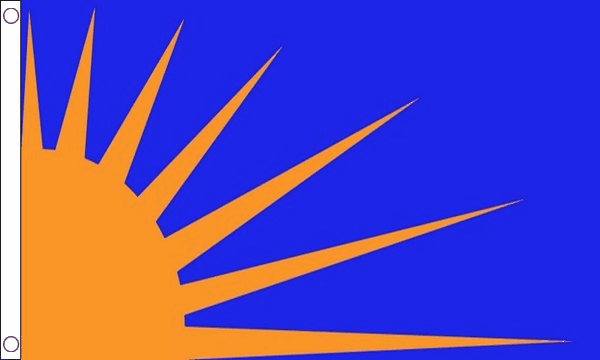 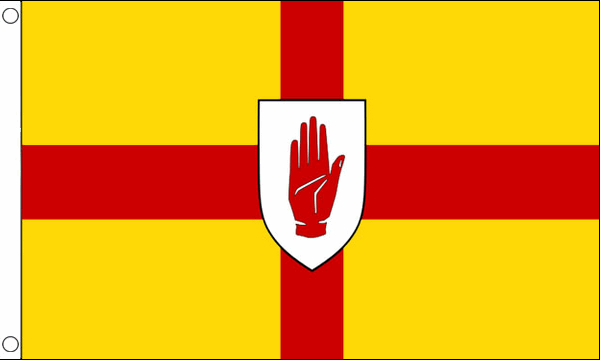 It is used by nationalists and by some all-Ireland institutions such as the Irish Rugby Football Union and is intended to be a more neutral flag than the Irish tricolour. 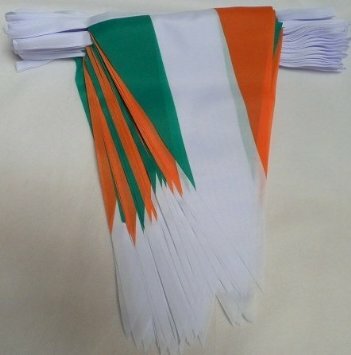 Four Provinces Flag is screen printed onto 100% woven polyester in clear, bold colours, our Ireland Four Provinces Flags have a double stitched hem all around and a reinforced hem on the hanging side with 2 metal eyelets for hanging. 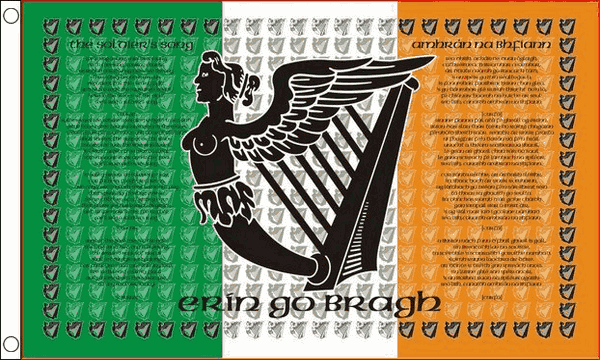 FREE IRELAND POSTAGE is included with this Four Provinces Flag, postage to overseas will be charged at checkout.